Fearless Leader or Lame Duck? 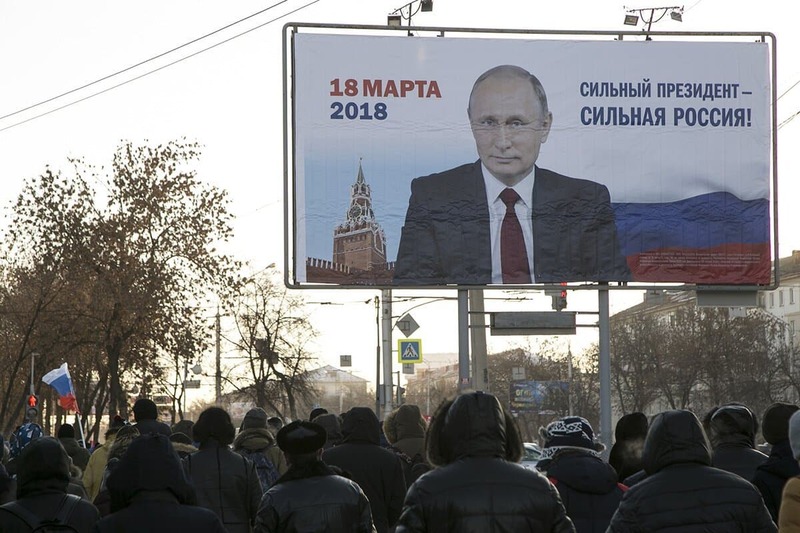 On 18 March, Russians go to the polls where they will – without doubt – re-elect President Vladimir Putin to a fourth leadership term. Vladimir Putin. Image via kremlin.ru. On 11 March, President Xi Jinping succeeded in winning the approval of the National People’s Congress to abolish term limits on the office of the executive, which would have restricted him to serving for only 10 years. Xi has said that he needs more time to oversee the transformation of China into a “mighty force” to lead the world. So, too, the final collapse of the Soviet Union occurred after then-Russian President Boris Yeltsin met secretly with the leaders of Ukraine and Belarus, and the three men simply decided to announce that they no longer recognized the Soviet Union’s or Soviet chief Mikhail Gorbachev’s authority. Cynthia Hooper is an Associate Professor of History at the College of the Holy Cross. Navalny in trouble with Russian government and Google over video supposedly capturing a hush-hush meeting on a yacht. Sobchak: ‘Against All’ Yet for Navalny? The celebrity’s presidential campaign picks up speed, although few give her or anyone else a chance to unseat Putin.